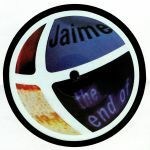 Review: Following on from the equally essential "The End Of" 12" released just recently on For Those That Knoe, Jaime Read is back in the spotlight with more cuts from his 1997 album "The End Of The Beginning". 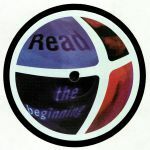 It makes sense then that this 12" is called "The Beginning", but the music is far from amateur material. This is elevated, evolved and exquisite deep house and techno that shows the depth and breadth the genres can reach when the machines are pushed into wild new territory. Just listen to the alien signals embedded in "Itty Bitty Pieces," a stunning electro workout that sounds unlike anything else. For any self-respecting fan of vintage UK house and techno, this release is unmissable. 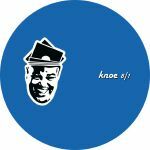 Review: UK veteran producer Jaime Read was the one to kick off For Those That Knoe back in 2013 with his LHAS alias, and now he's back on the archival house and techno label with some more stunning machine soul from the vaults. These tracks are lifted from his 1997 album "The End Of The Beginning", and they're steeped in the glorious exploratory nature of '90s techno programming, when the focus was on pushing the potential for expression through the machines. From the rattling perc and fuzzy synth swells of "Collective Consciousness" to the edgy, snaking drum science of "On The Surface Of The 9th Moon," this is an essential window into a forgotten treasure of the UK techno canon. Review: For Those That Knoe are back with another wedge of dusted down delights from Casey Tucker, a hidden treasure of the mid 90s that nearly got away. Fortunately his effervescent machine soul jams have found a new lease of life with these reissues, and this fourth installment comes from a freshly unearthed box of DATs that pushes Tucker's story even further. "Inner Strength" is a pumped up shot of dynamic techno in the classic sense of the word, mysterious but hopeful, tough but sensitive. "Terraform," which previously aired on a long-deleted 12" from the 90s, takes things skywards with an unabashedly positive tone to the dense layers of synths and box beats. "Waiting Game" rounds the EP out on a wistful, acid-drenched tip - let's hope there's more jams of this quality to come from the Tucker archives.